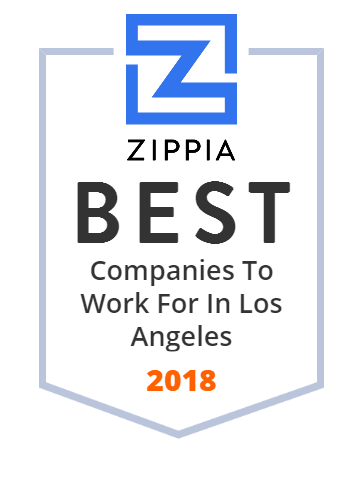 We hand-curated a list of the best companies to work for headquartered in and around Los Angeles, CA using data on salaries, company financial health, and employee diversity. Health Net, Inc. is a health care insurance provider located in Los Angeles, California. Since its inception this reputable company has been committed to their mission of helping people be healthy, secure and comfortable. Health Net's subsidiaries also offer managed health care products related to prescription drugs, and offer managed health care product coordination for multi-region employers and administrative services for medical groups and self-funded benefits programs. The Local Initiative Health Authority of Los Angeles County, doing business as LA Care Health Plan, is an independent, local public agency based in Los Angeles, California, that began operations as a licensed health plan in 1997. The Dream Center is a faith-based charitable organization that finds and fills the needs of struggling people from all over the United States. Children's Hospital Los Angeles is a non-profit, pediatric academic medical center located in the East Hollywood district of Los Angeles, on Sunset Boulevard at the corner of Vermont Avenue. VCA Animal Hospitals is a trade name of veterinary medicine company VCA, Inc. (Veterinary Centers of America), an operator of veterinary hospitals in the US and Canada. It operates more than 750 animal hospitals in the United States and Canada. The company is based in Los Angeles. Antech Diagnostics, Inc. operates reference laboratories for animal hospitals in the United States and Canada. Its diagnostic spectrum includes various tests in chemistry, pathology, endocrinology, serology, hematology, and microbiology. The company also provides ANTECH OnLine, which provides access to test results that include patient trending, data analysis, disease prevalence, and patient follow-up; Sound-Eklin, which provides digital radiography, as well as GE ultrasound systems, radiation therapy systems, and PACS solutions for veterinary environments; and ANTECH Imaging Services, which provides Web-based PACS and telemedicine capabilities. It also operates a network of specialty or referral animal hospitals that offer residency, internship, and externship programs, as well as career training in hospital management in the United States. In addition, the company offers practice enhancement tools, such as early detection, parasite testing, and pre-operative care solutions for clients veterinary hospital and clients; practice enhancement materials for veterinary hospitals and their clients; and veterinary and clinical pathology services. Antech Diagnostics, Inc. was founded in 1994 and is based in Irvine, California. Antech Diagnostics, Inc. operates as a subsidiary of Vicar Operating, Inc. Established in 1996, Prospect Medical Holdings, Inc. has grown into a significant provider of coordinated regional healthcare services in Southern California, Connecticut, New Jersey, Pennsylvania, Rhode Island and South Central Texas. This privately owned and operated organization consists of hospitals and affiliated medical groups that work closely together for the benefit of every person who comes to them for care. They build comprehensive networks of quality healthcare services that are designed to offer their patients highly coordinated, personalized care and help them live healthier lives. The Florida Medical Center is dedicated to helping eye doctors and Raleigh dentists to navigate the medical waters and serve their patients across the country. For five generations, the non-profit Los Angeles Jewish Home has been the place of safety and security, activity, wellness, and longevity for seniors. For over 90 years, Facey Medical Group has been providing clinical health care to families in the San Fernando, Santa Clarita and Simi Valleys. From seniors to newborns, Facey accept most commercial and senior heath plans. Seniors welcome. Green Gorilla's Hemp & Olive, your best source for quality, affordable health, wellness and organic hemp CBD extract oils containing all beneficial cannabinoids with naturally occurring antioxidants and neuroprotectants.